The Los Angeles Kings and defenceman Drew Doughty have agreed to terms on an eight-year contract extension, the team announced Friday. Defenceman Drew Doughty has agreed to an eight-year, $88 million US contract extension through the 2026-27 season to stay with the Los Angeles Kings. After cracking the Kings' roster as an 18-year-old, Doughty has been among the NHL's top defencemen throughout a 10-year career spent entirely with the Kings. He won the Norris Trophy as the league's best defenceman in 2016. As an aggressive, skilled two-way blueliner, he has been a finalist for the award in three other seasons — including 2017-18, when he scored a career-high 60 points while playing in all 82 games for the fourth consecutive season. Doughty played a major role in the Kings' Stanley Cup triumphs in 2012 and 2014, and he also has two Olympic gold medals from playing for Canada. "Drew Doughty is one of the best defencemen in the world, and we are obviously excited to have reached this point in the process in which he has committed to the Kings long-term," Kings general manager Rob Blake said. He still has one year left on an eight-year, $56 million contract signed in September 2011. Doughty can't formally sign the new deal until July 1, when he will be one year away from free agency. 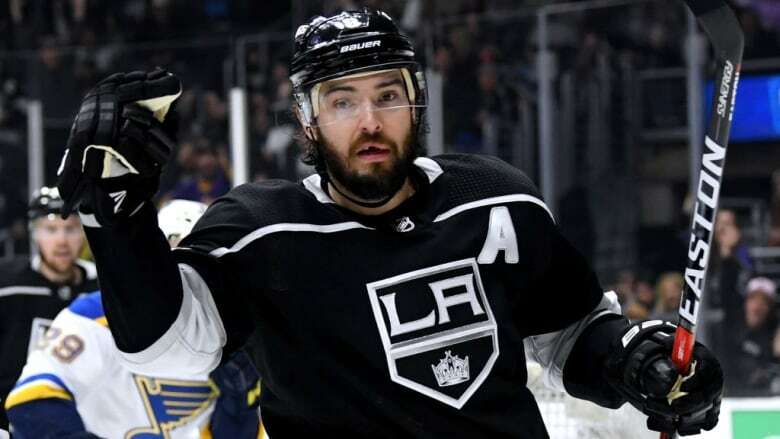 The 28-year-old Doughty's new contract has the NHL's highest average annual value among defencemen, although it could be surpassed by the next contract for Ottawa's Erik Karlsson, whose current contract expires in 2019. Los Angeles' core of elite veterans is all signed to long-term contracts through at least the next three seasons. Those players include captain Anze Kopitar, goalie Jonathan Quick, Dustin Brown, Jeff Carter, Alec Martinez, Dion Phaneuf and newcomer Ilya Kovalchuk, who signed with the Kings earlier this week.